A big part of our homesteading plans include building a new house. We will need a roof over our heads after all! Finding the right home plan requires established criteria for what we want in our next home, so we made a list of the things we felt were most important. 1. An open floor plan. 5. 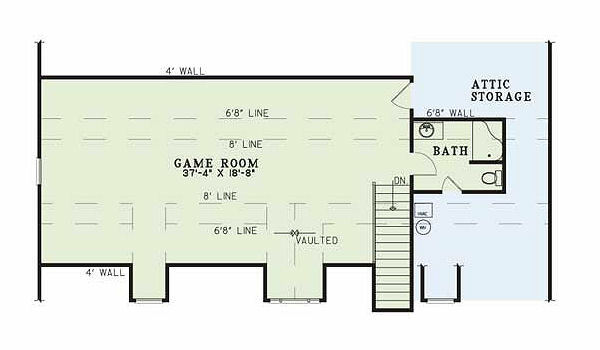 Bonus room in attic space if possible. 7. 1700-1900 sq ft which is 580 – 780 sq ft smaller than our current home. There are ample resources on-line and we’ve enjoyed looking thru plans in an attempt to find the plan that best fits our criteria and a home that we can envision on our homestead. Having a chosen home plan can also make looking at property a little easier. As we look at various pieces of land we can better determine if the home we want to build on that property will actually work. Even with established criteria, finding a home plan that Dave and I both agree on can be challenging. So, while we are looking for property and learning all there is to learn about homesteading, we have also been looking thru home plans. I would find a plan I like, look at it several times over a couple of days and then find something I didn’t like about it. Dave would find a plan he likes, send it to me and I would pick it apart. I would find another plan, send it to Dave and he would point out something he didn’t like. You get the picture I’m sure. Then it happened!!! Dave sent me a link to a house plan he found that he really liked. I was fully prepared to pick it apart, but instead I’ve gone back and looked at it over and over and over again only to like it more each time I have looked at it. Then today we made the decision that this house plan is it. There are some very minor changes we will make, like enlarging the garage to add a workshop and breaking up the bonus room into a guest bedroom and office space. 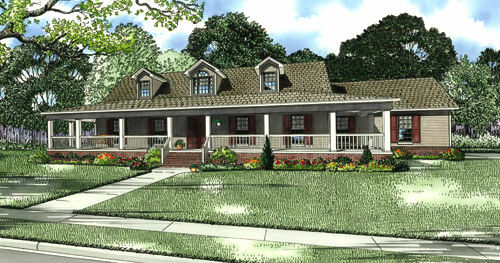 However, these plans fit our criteria extremely well – open floor plan, large kitchen, bonus room, etc. Since Dave found the plans he thinks we should refer to them as Dave’s Homestead. I do not concur!!! Of course since our homesteading plans are starting to come together a bit, it’s probably time that we start thinking of a clever name for our homestead. That could prove to be a bigger challenge than finding the right home plan. Any suggestions from my readers? OMG! I have been looking at home plans and have chosen one almost EXACTLY the same as yours!!!!!!!! I googled “Southern Style Ranch Home”!!!! I have always told Jim I want a huge porch!!! 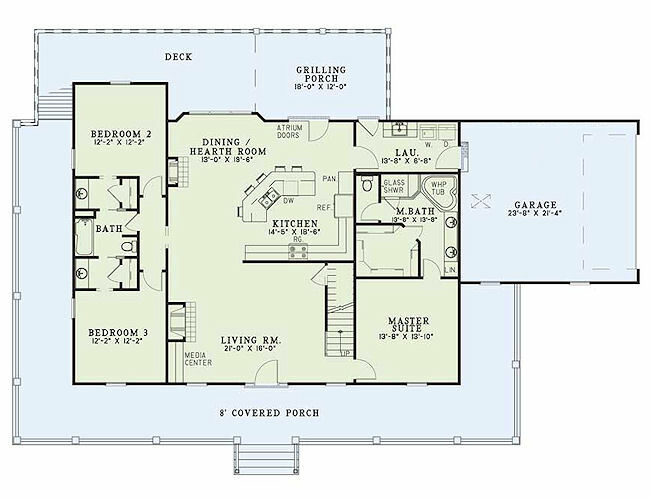 The house plan and what you want almost completely, mirrors what we want! How crazy and what a coincidence!!!! I am just catching up on your last few posts. Wow, I can’t believe how quickly everything is coming together!!! I LOVE the plan for your house! (my) Dave would especially love that grilling porch! I just caught up on your last few posts. Wow, I can’t believe how quickly everything is coming together! I LOVE your house plan, and (my) Dave would especially love the grilling porch!